Last Thursday, the UFC announced that strawweight contenders Joanne Calderwood and Valerie Letourneau will fight each other at UFC Fight Night 89 on June 18th in Ottawa. But they will not be fighting at their regular weight class of 115 lbs, but rather at 125 lbs. Although the UFC hasn't officially created a flyweight division, this fight makes that division just a formality at this point. And it's nothing but a good thing for the female fighters in the UFC now, those who are considering signing, and for the promotion that will house them. Another weight class means the women who were starving themselves to make 115 lbs no longer have to do that. Look at Letourneau. When she fought Joanna Jedrzejczyk for the belt at UFC 193, she looked like a skeleton on the scale. Not surprisingly, her performance suffered. Now, fighting at her natural weight class of 125 lbs, that won't have to happen again. She can eat properly during camp and not have to starve herself to make weight. It means that she will be able to perform better, which is great for her, the fans, and for the promotion putting on the fight. It also means the risk of an injury due to the weight cut will be lowered. It's a great thing all around. 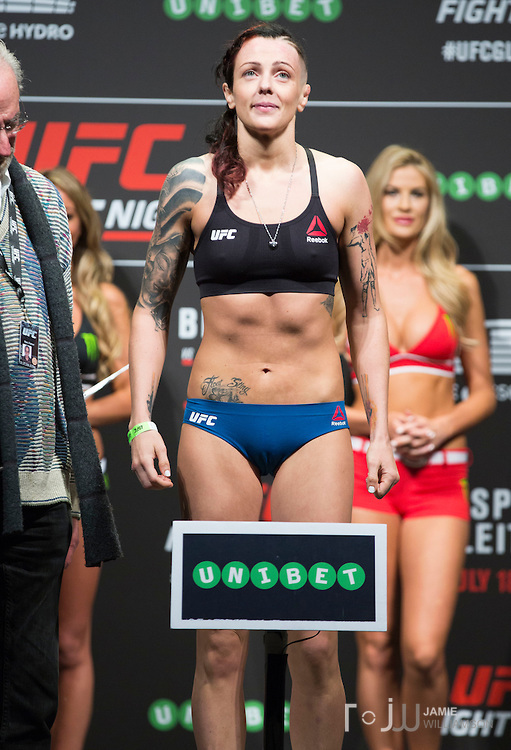 The 125-pound weight class also means that women who couldn't make 115 lbs before will now be able to fight in the UFC at their proper weight class. There are quite a few flyweights in Invicta who are UFC-quality fighters, and now they will be able to fight in the top promotion in the world for better pay in their natural weight class. In addition, women who were planning on signing with Bellator, which has a flyweight division, can now freely sign with the UFC instead. Another benefit for the new weight class is it gives the UFC a new belt to promote. The UFC runs nearly 50 cards a year and is in dire need of main events. Having a female 125-pound division means another championship fight. It would be a perfect main event for any Fight Night card while the division is still in its infant stages, and once the division is established, a 125-pound title fight may even main event a pay-per-view down the road, should the UFC be able to build a star in the division. Adding a women's flyweight division also means the UFC is likely looking at adding a 145-pound division as well. Cris Cyborg is fighting Leslie Smith at 140 lbs in a catchweight bout at UFC 198, but if the UFC is willing to add flyweight, why not have featherweight as well? That would give the UFC yet another belt, and with Cyborg potentially being a star for the promotion, it's only a good thing for the company. One negative to the new weight class, if you want to look at it that way, is that some of the top 135-pound fighters will move to 125 lbs because they weren't able to be competitive with the big three of Ronda Rousey, Miesha Tate, and Holly Holm. That will weaken the bantamweight division's depth, but it's hard to say that's necessarily a bad thing since these fighters will likely be more competitive at 125 lbs. And like Demetrious Johnson, who went from 135 lbs to 125 lbs in the men's divisions, a fighter who wasn't a star at 135 could potentially become a star at 125. All in all, adding a new women's weight class has more benefits than negatives. It's great, unexpected news for female fighters all around the world who aspire to fight in the UFC one day, and we'll see how it plays out over the next little while. 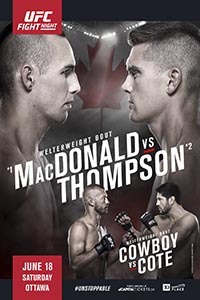 UFC Fight Night 89: MacDonald vs. Thompson takes place on June 18, 2016 at The Arena at TD Place in Ottawa, Ontario, Canada. Click the stars to rate how good you think UFC Fight Night 89 will be.